This first volume of The History of Evil covers Graeco-Roman, Indian, Near Eastern, and Eastern philosophy and religion from 2000 BCE to 450 CE. This book charts the foundations of the history of evil among the major philosophical traditions and world religions, beginning with the oldest recorded traditions: the Vedas and Upaniṣads, Confucianism and Daoism, and Buddhism, and continuing through Graeco-Roman and Judaeo-Christian schools of thought. 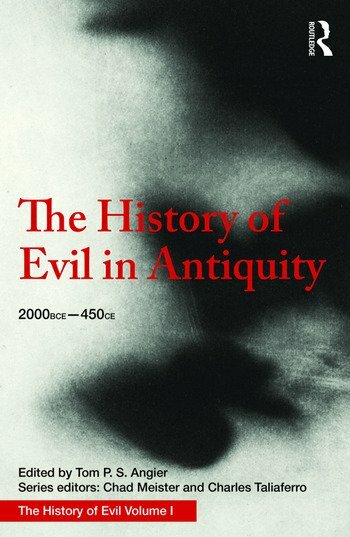 This cutting-edge treatment of the history of evil at its crucial and determinative inception will appeal to those with particular interests in the ancient period and early theories and ideas of evil and good, as well as those seeking an understanding of how later philosophical and religious developments were conditioned and shaped. Tom P. S. Angier is Lecturer in Philosophy at the University of Cape Town, South Africa. Chad Meister is Professor of Philosophy and Theology at Bethel College, USA. Charles Taliaferro is Professor of Philosophy at St Olaf College, USA.